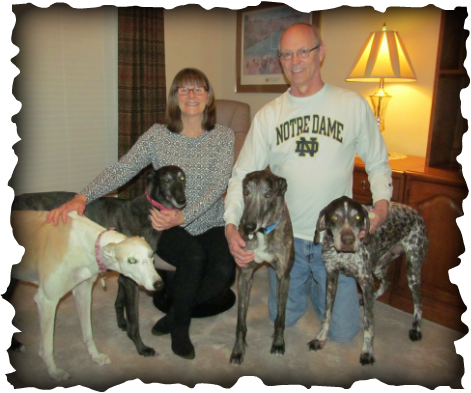 WV's Ethel called Solo was adopted by Debbie and Mike in Loveland. Bella, Bo and Ace were very happy to add to their family. Mike is our webmaster and at our general meeting Saturday I jokingly said Solo was going to be the door prize. As everyone was leaving Mike said where is my door prize? I cried knowing their home would be a perfect fit for this special girl. Solo was called to donate blood twice at County Animal hospital and saved two dogs lives. Saturday was her special day, saved a life and went HOME! She is a VERY special girl.